Windmill is the most efficient way to harness wind energy. Due to the variations in the air pressure the blades of the windmill move, and this movement converts the wind energy into mechanical energy. The blades are connected to the shaft which transfers the mechanical energy to the generator where it is converted into electrical energy. The electricity generated is used for running different appliances at home and office. A standard windmill has four crucial parts viz. blades, tower, nacelle and base. All these four components can either be built at home or bought from the market. Two things that should be kept in mind while building a windmill is that the tower should be able to reach above all the obstructions and the blades should move as freely as possible. In other words, the tower should be high enough to be able to take advantage of the wind and the blades should move with minimal resistance. 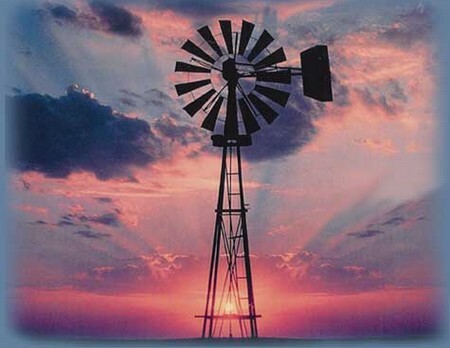 Plastic or wooden blades are ideal for the windmill because they are lightweight due to which they are able to move at the slightest change in the air pressure. The size of the blades depends upon the height of the tower. If the tower is 5-feet tall, then the blades should be approximately 1 to 3 feet in length. The base of the windmill has to bear the weight of the blades, tower and nacelle. For this reason, it should be heavy, strong and sturdy. To be able to support 5-feet tall tower, the base should be at least 10-kg in weight and 18’’x18’’x18’’ in dimension. Concrete and wood are considered to be ideal for base. Sandbag can also be used. As the tower has to withstand the weight of the blades and nacelle, therefore it should also be robust and resilient. Typically, it is made of plastic or wood. Nacelle is basically a gearbox that helps in the movement of the blades. In the place of nacelle, a simple shaft can also be used to connect the blades with the tower. After all the requisite materials and tools have been collected, start building the windmill. However, before that, choose an appropriate location. The place should be on the windward side and it should have minimum number of obstacles. On the idyllic location, install the base first. Thereafter, affix the tower, and lastly, set up the blades and nacelle. Ensure that the blades move freely. The windmill is ready to generate electricity from wind energy.